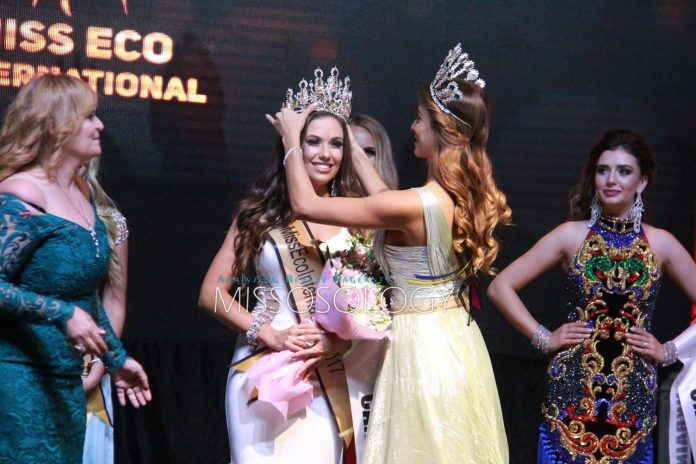 Amber Bernachi, the 1st runner-up at Miss Universe Canada 2016 and was appointed as Miss International Canada 2016, bested 65 contestants from around the world when she emerged as the winner of Miss Eco International 2017, which was held last night in Egypt. Not even the latest terrorist attack in the “land of the pharaohs” had stopped the events which was well-received by the locals and international guests alike. Bernachi will now spend the whole year promoting eco-tourism, along with the responsibility of being a tourism ambassador for Egypt. This lovely lass was also Top 15 at last year’s Miss International pageant, held in Tokyo. Previously known as Miss Eco Queen in 2015 and Miss Eco Universe in 2016, this year’s pageant was rebranded as Miss Eco International 2017, and has been successfully been hosted by Egypt for the third straight year. 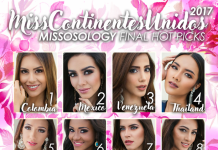 The Miss Eco International 2017 top five included Anzhelika Tahir of Pakistan (1st Runner-up), Fenne Verrecas of Belgium (2nd Runner-up) Nguyen Thi Thanh of Vietnam (3rd Runner-up) and Anastasiya Kaptsiuh of Belarus (4th Runner-up).